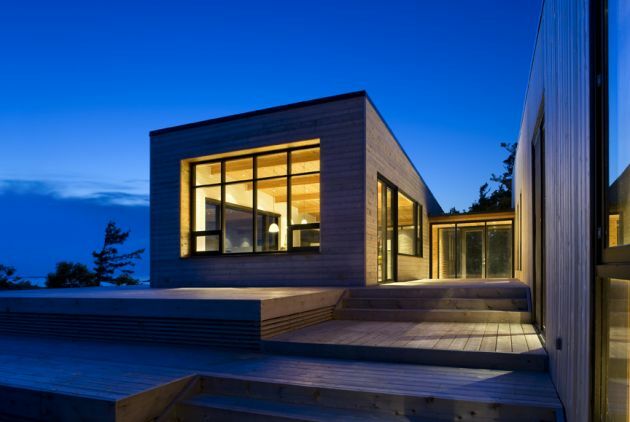 Superkül Architects have designed the SHIFT Cottage in Georgian Bay, Ontario, Canada. 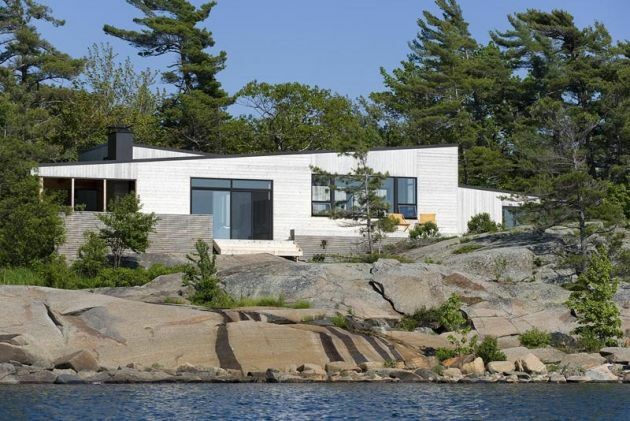 On the edge of a Precambrian granite island, this 2000 SF cottage is nestled into the rock and against a line of trees, taking full advantage of the site’s natural beauty and its protection from the often extreme weather. 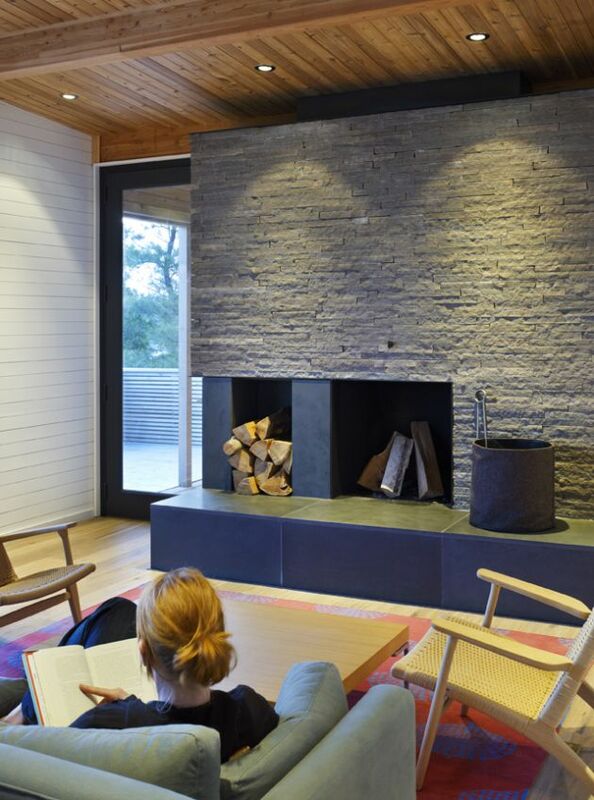 In form and material the cottage is determined by its landscape of water, rock and sky. 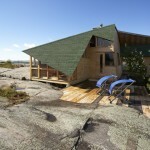 Its graphic lines contrast and highlight those of the wind-shaped trees and the washed granite; the massing of the cottage mimics that of the rock formations in which it sits. 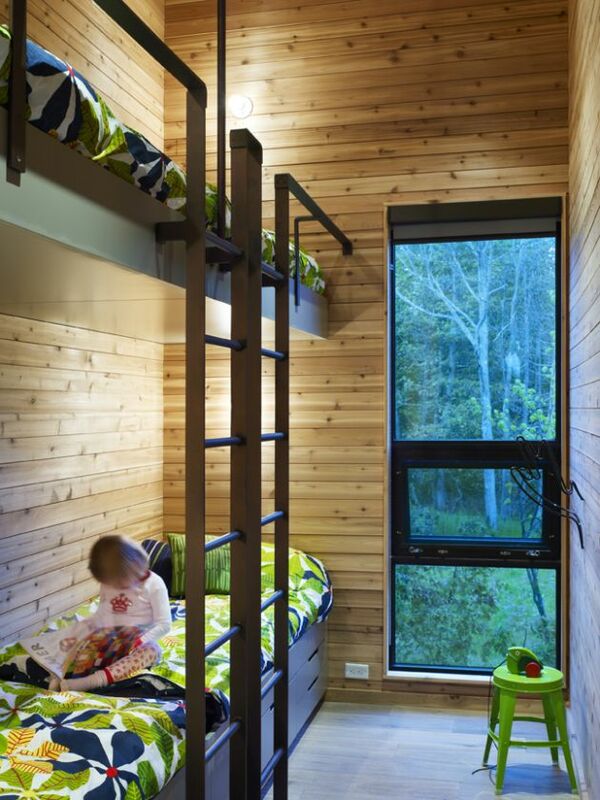 A glass walkway links the cottage’s two volumes. 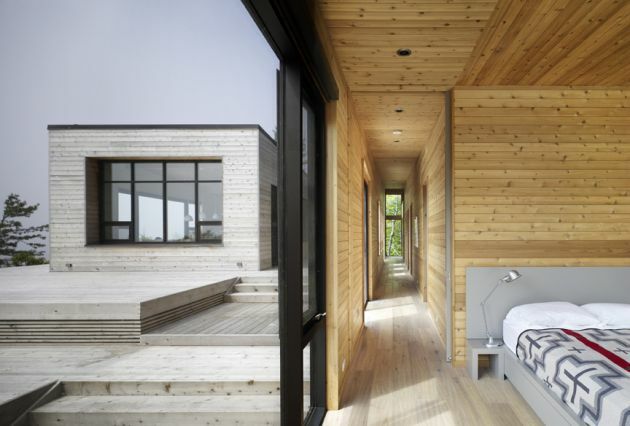 The living spaces are in the volume closest to the shore; bedrooms are against the trees. 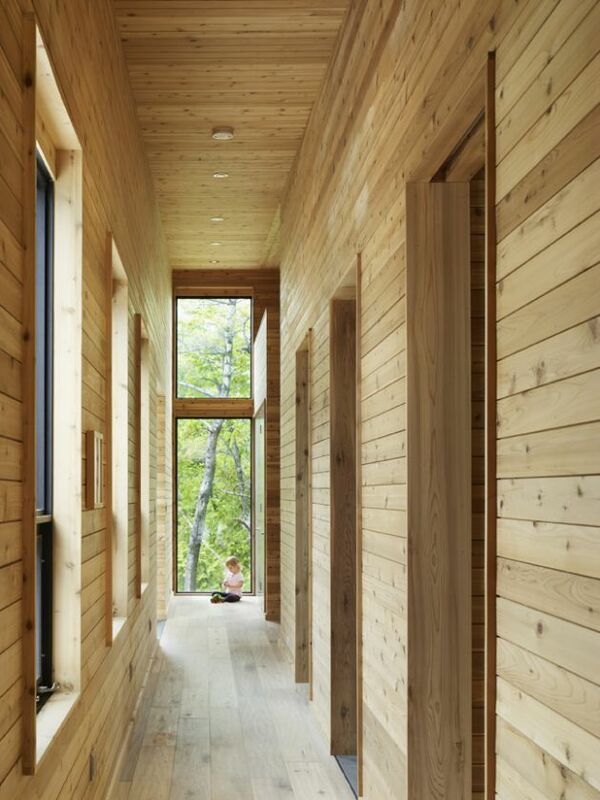 Window openings are aligned throughout to allow views to the trees behind and the water in front. 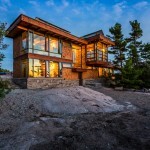 A cedar deck folds down to meet the rock; it hosts outdoor living spaces including a contained children’s play area and a private outdoor shower. 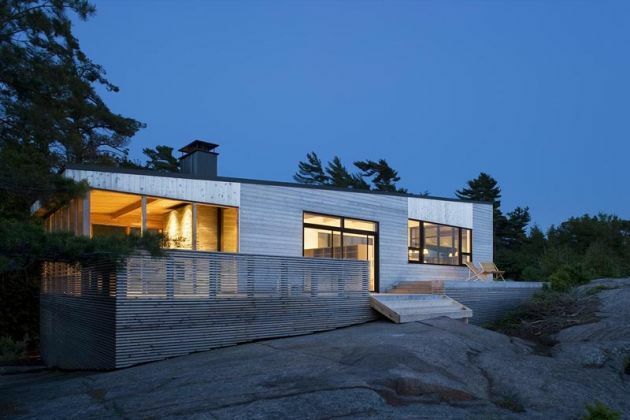 In keeping with the family’s inter-generational stewardship of the island, the cottage was designed to tread lightly on the land; the design was based on locally available construction materials and equipment that were easily barged in, managed and moved by one pair of hands. Sited in a natural clearing, no trees were removed to make the site. Pier foundations both obviated any blasting, and allow for passive under-croft cooling. 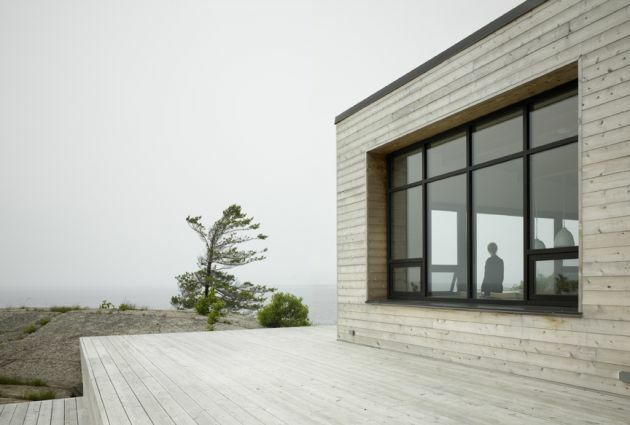 The cottage is passively lit, ventilated and cooled, and the use of local and natural materials left largely in their unfinished states leaves a smaller footprint. 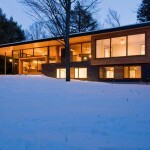 Visit the Superkül Inc | Architect website – here.